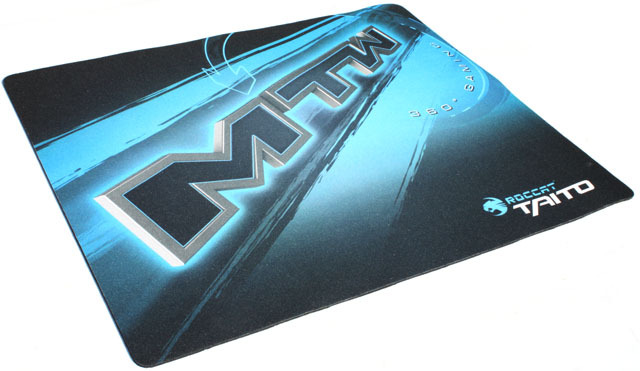 A month ago Roccat presented the Taito Kingsize - mTw Edition mousepad at Gamescom. 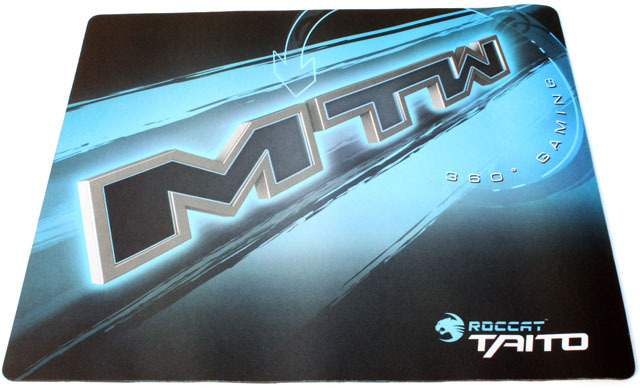 This new cloth mousepad is larger than the original Taito mousepad and is an officially licensed product of mTw, a German pro gaming clan that has been around since 1998. Over 80 gamers in eight different squads actively play for mTw and the clan has achieved major successes, including winning the titles of World Champions, German Champions and European Champions many times over, as well as winning the World Cyber Games. Roccat is based in Germany, the company released its first major products in 2007 and its mission is to redefine the gaming industry with innovative new products. The Taito Kingsize is Roccat's fourth mousepad, it ships in a plastic enclosure that is surprisingly easy to open. There's no need to get scissors, the package has a tab at the rear that enables you to peel off the back without causing too much hassle. Another interesting thing about the package is that the front features samples of the Taito and a regular cloth mousepad, so you can feel the difference in a retail store without having to open the package. It's a great idea, although the sample does not appear to be 100% identical to the surface of the Taito Kingsize. When I move my fingernail across both surfaces I get the impression that the sample material on the box is a bit smoother than the actual mousepad. 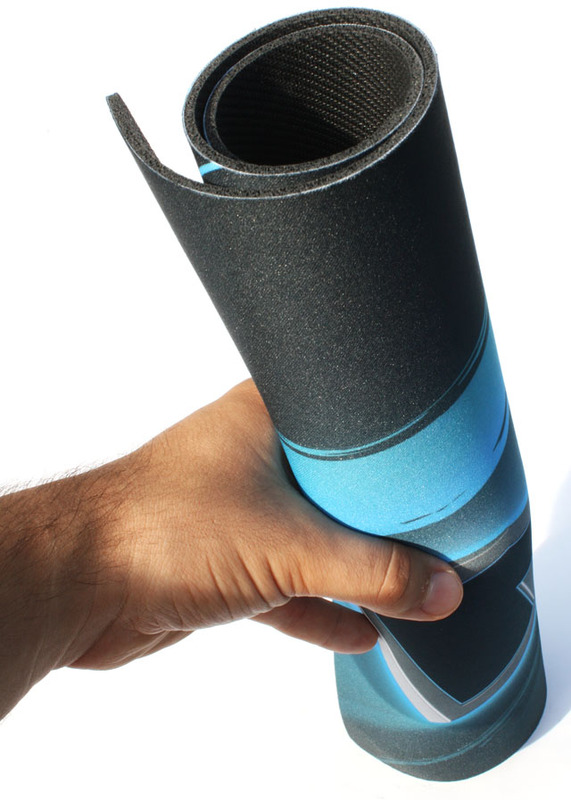 Unlike most gaming mousepads, this model can be shipped rolled up because it's made of cloth. 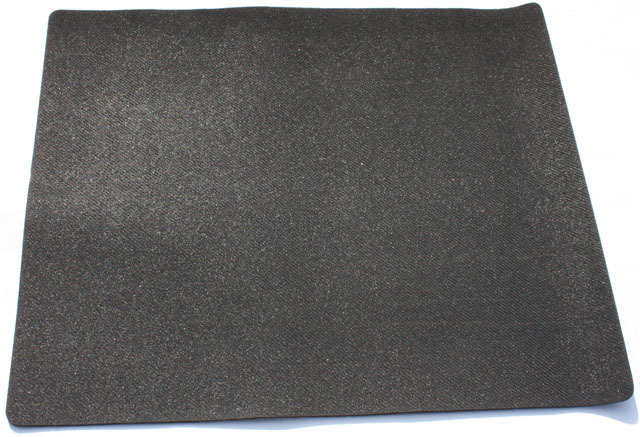 The mousepad is made out of cloth and has a smooth heat-treated nano pattern. According to Roccat, the surface of the Taito provides improved mouse control across the x-y axis compared to regular cloth mousepads. While the original Taito measured 400mm x 320mm, the new Taito Kingsize delivers a size of 455m x 370mm. The surface area of the Taito Kingsize is pretty massive, making it a perfect mousepad for low-sensitivity gamers who require plenty of space. To give a perspective of how large it is, you can place a regular keyboard on it and there's almost enough room to place another keyboard right under the other one. Personally, I think the size of this mousepad is a bit inconvenient, for most gamers it will be too large to use as a regular mousepad, but on the other hand it isn't large enough to cover the surface area needed by both your mouse and keyboard. I myself would be pretty interested in a ultra-large cloth mousepad where I can lay my wrists on when typing. The backing is rubberized to prevent the mat from moving during intense gaming sessions.